As a cat lover, all you could think off is your cat and nothing else. However, what if someone gives you a duck. Ya ... a duck. A little duckling to be exact. During the last Easter, somehow a baby duckling found a way into one of the Easter Gift baskets that I received. I know this little darling can be very adorable, but I prefer cats to ducks. To cut the story short, I gave the duckling to my niece. She loves it and I am sure it can become a treasured member of her family. The only problem is that I only have one. I promised her that I get another one so that the one I got her does not get lonely. While searching online for a place to buy ducksI also learn more about this cute creature. I got to know that ducks are easy to take care of and inexpensive. You can get one for less than $5. They can live as long as up to 20 years. Just like cat, if you are considering getting yourself a duck as your pet, you need to do your homework first to make sure that you are making the right choice. Anyway, if you are thinking to get a duck, please do not plan to keep in as a house pet, as their lifestyle is not suited indoors. They are an outdoor type of animal, so you need to have a backyard. Keeping a duck in an apartment is really not suitable. If you can't do this, get a cat :) or why not a chicken. There are many chicken breeds to choose from as well. 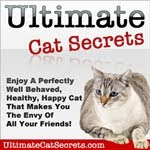 The important thing is, whether a cat or a pair of ducks, you need to know why you need a pet. To just get a pet because you neighbor has one is not a good reason. So, if you are looking for ducks, check out this link to find ducks for sale. Although I mentioned above that cats are better, there is one thing which a duck can beat a cat. Ducks can produce eggs and those can be eaten. And when you are really broke and have nothing to eat, you can cook and eat your duck, but it's cruel to do that to your cat. A black cat on the big screen is only a few weeks away. Can't wait to catch catwoman in the Dark Knight Rises. It has been quite a while I am using my current HP laptop. Not that it has broken or not working. It is still in working condition. The only problem is that it is getting old. With Windows 8 coming up, most of the latest version of programs would be optimized for Windows 8. The current laptop is running on Windows XP. I don't the existing specifications can support Windows 8. So, if you are a cat, how do you advise your owner on which cat friendly notebook he should get. Ha.. ha.. Anyway, my main usage, other than surfing the internet, would be editing the black cat photos and his friends. And maybe running some flash games and also doing some work with Microsoft Office. Nothing heavy like AutoCAD or editing films or playing graphic intensive video games. I was told to that I could easily get discount laptops with performance by using coupon codes to buy a Lenovo laptop. I can expect to get the 2nd generation Intel® Core™ i7 processors with up to 6GB DDR3 1066/1333MHz memory, 320 GB hard disk drive and even a Blu-ray disc drive. A friend advised me to look for a higher amount of RAM. RAM or Random Access Memory is a type of memory that helps to increase the processing speed on laptops. RAM allows the laptop to run multiple applications at the same time and not slow down. It complements the processor. Although I mentioned above that I am only a light user, but who knows. Maybe while using my notebook I would also like to play with my virtual pet. Adding RAM is much cheaper then upgrading the processor. So, instead of Core i7 processor, I could get the cheaper Core i5. One big problem with a laptop is whether do they sell one that are resistant to cat scratches. This is one tough decision I have to make. I may not get the glossy surface type of laptop. Another thing to consider, since I am a light user ... should I get an iPad instead of a laptop. It is much lighter compared to a laptop and it is much cheaper. An iPad is also easier to carry around. Just that, I I choose an iPad over a laptop, I still need to get an extra storage to connect to my home network to keep all my files. So, what do you think. Should I still get a new laptop. The ones that is cat friendly or should I get an iPad?